Freezee 4 balls nearr the center of the table as shown. The 1 ball is on line with the head of the foot spot. 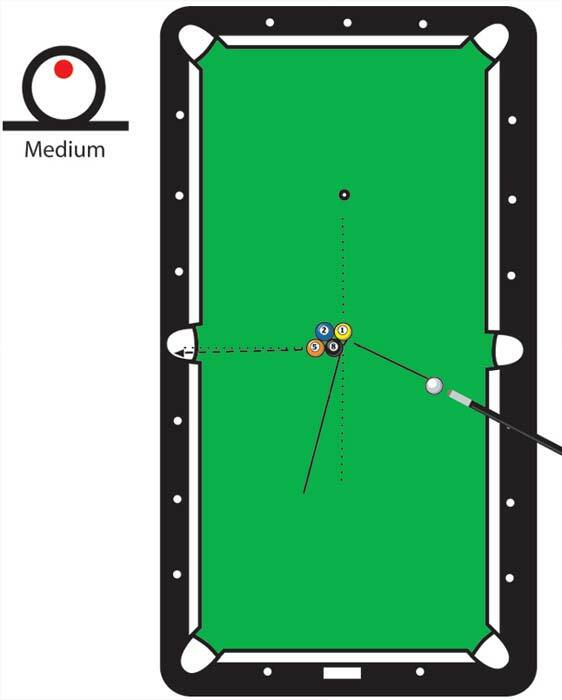 The 5 and 8 balls are directly in line with the center of the side pocket. Place the cue ball between the 2 ball and diamond no. 3. To pocket the 8 ball in the side pocket shoot the cue ball directly at the 2 ball with top english hitting the one ball first. Hitting the 1 ball first is the key to making this shot. It opens the path for the 8 ball to be pocketed in the side.